Background: Bob Pollard was a consistently solid player for the Saints, displaying versatility as a defensive tackle and defensive end. Pollard had to prove himself as an 11th-round draft pick by the Saints out of little known Weber State in 1971. Pollard started every game in his first five seasons with the Saints and started 90 games in his seven seasons with the franchise before being traded to the St. Louis Cardinals, along with guard Terry Stieve, for Conrad Dobler and Ike Harris. Pollard was opportunistic, with 12 fumble recoveries, including one which he returned for a touchdown. He was quick off the ball and he was tough, a working class player who went about his business the right was and was consistently productive. Sacks were not kept during the time Pollard played in the league but had they been kept, Pollard would have at least 40, perhaps as many as 50 with the Saints. 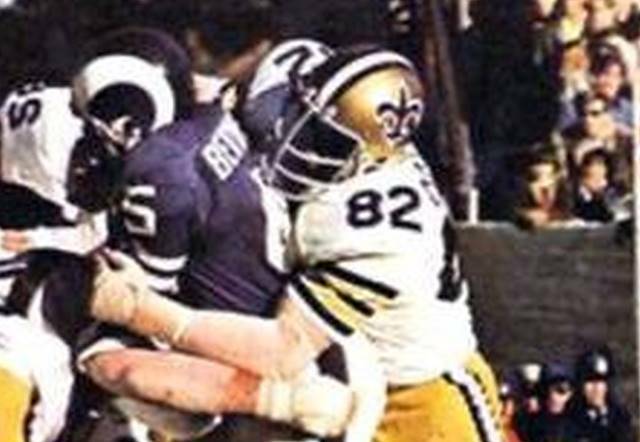 Greatest Moment: In the midst of a miserable season for the Saints and in his final season with New Orleans, the Saints traveled to Soldier Field to face the Bears on Oct. 2, 1977. Archie Manning ran for three touchdowns and passed for a fourth score. With the Saints leading 28-10 after three quarters, Pollard sealed the deal, recovering a fumble by Chicago quarterback Bob Avellini and returning it 52 yards for a touchdown early in the fourth quarter. 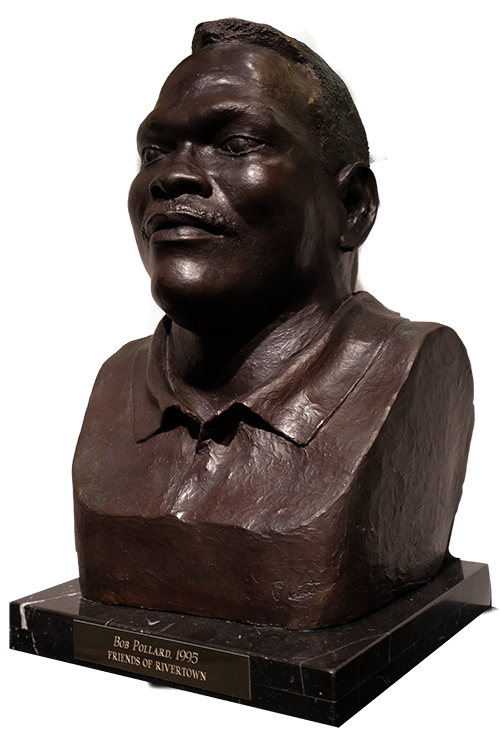 Honors: Pollard was inducted into the Saints Hall of Fame in 1995. He was the team's defensive captain in 1976 and 1977.